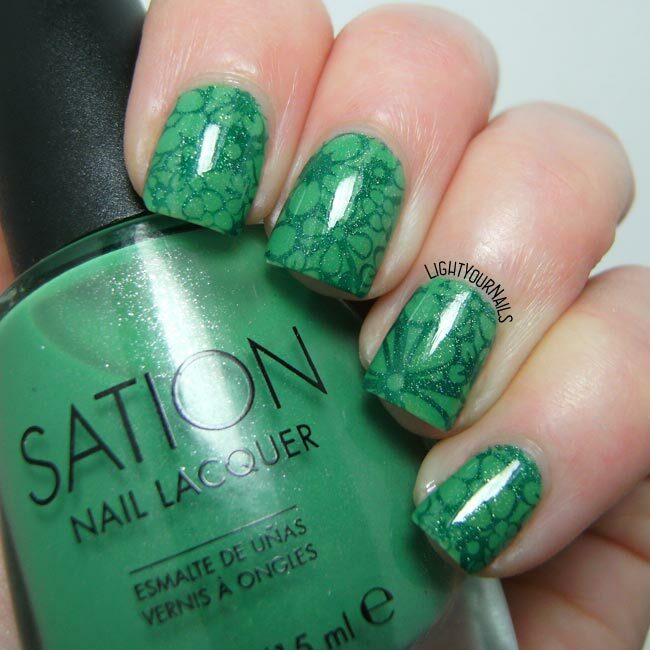 Today I’m showing you a green and floral nail art, perfect for Spring! 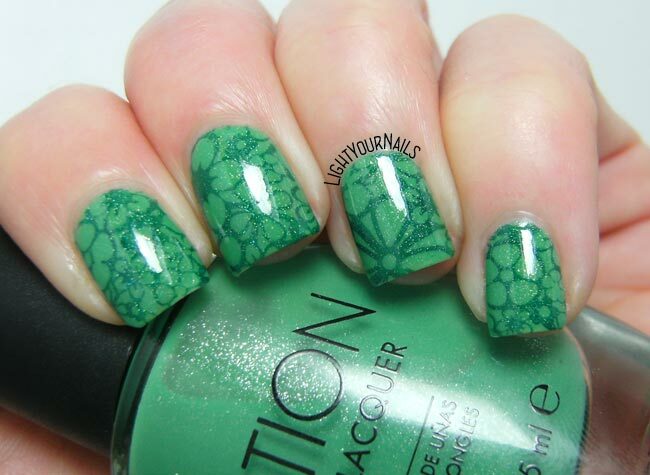 My base colour is Sation Plenty of Frogs , and I stamped over it with A England St. George and Harunouta 07* stamping plate from Bornprettystore. 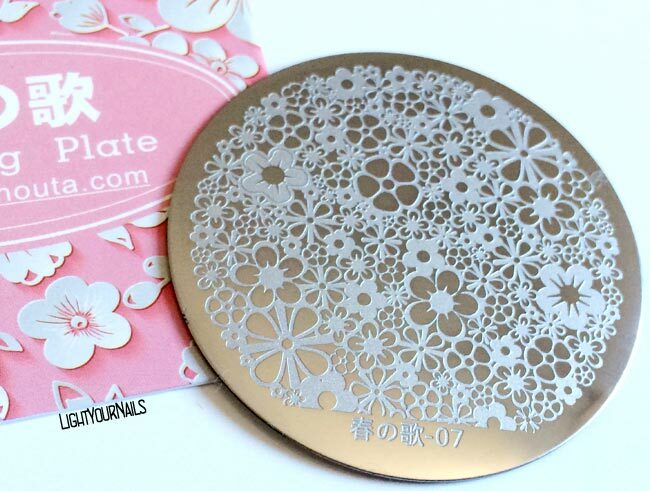 How pretty is this stamping plate? I definitely wanna try some home made coloured decals with it. Fingers crossed I nail them! 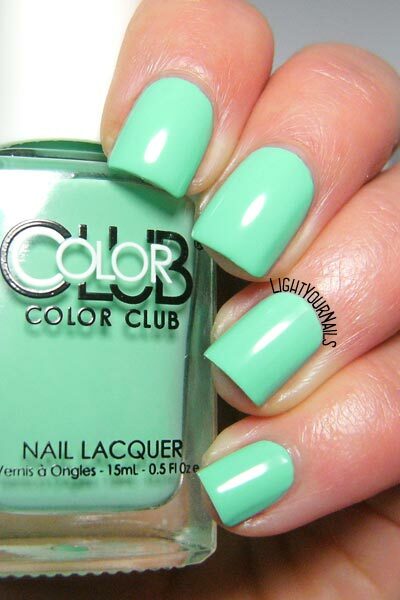 What do you think of today’s mani? 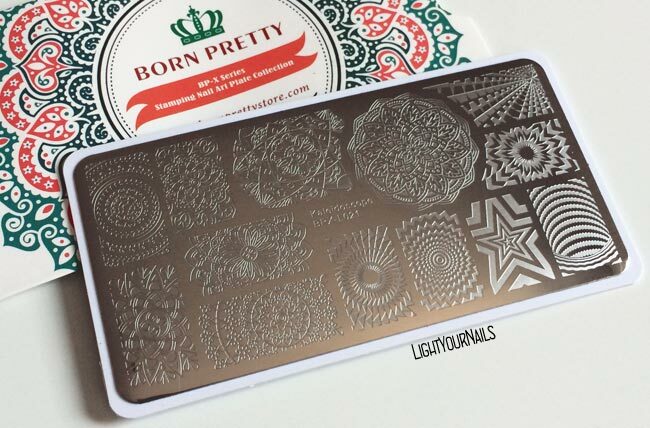 Do you like all this sparkle? 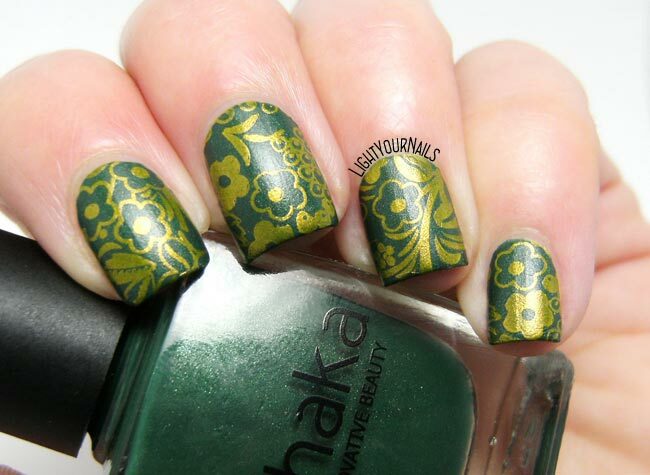 Today I am showing you a gold and green themed nail art that I created for March stamping mani challenge in the Nail Stamping Sistehood Facebook group. 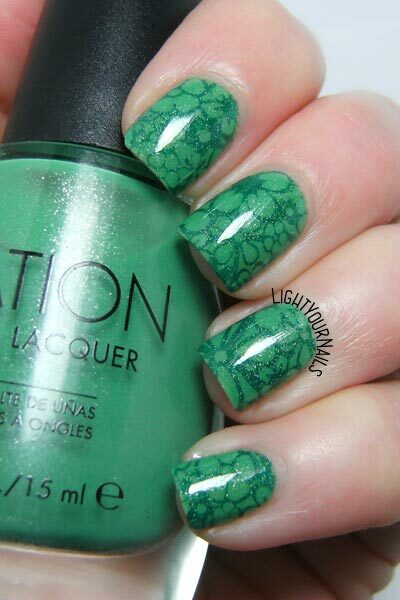 Actually I was told I was the challenge winner yesterday so I am very proud of this mani! 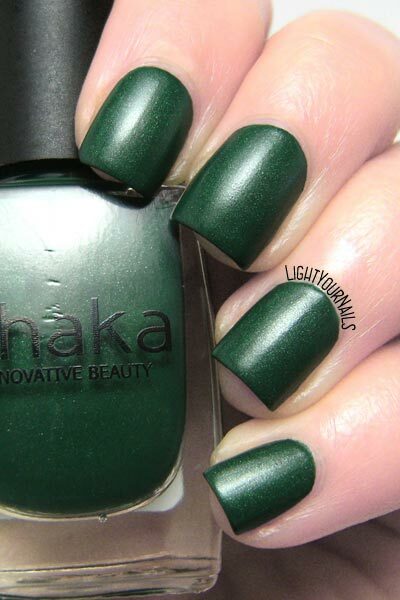 You may have recognized my base colour already which is Shaka Green Forest Matt. 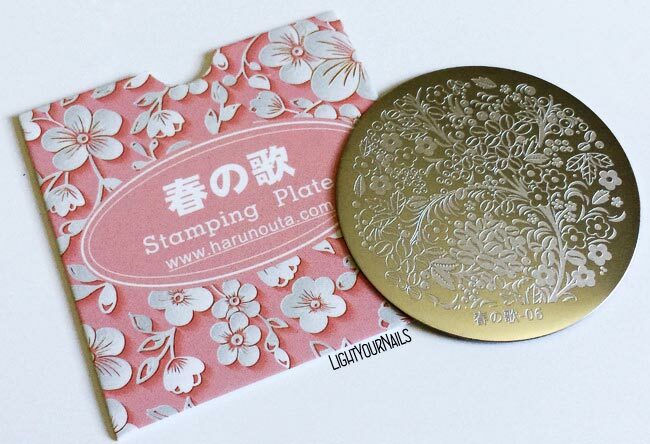 For stamping I used Harunouta 06* stamping plate by Bornprettystore and Bornpretty 01 gold stamping polish. 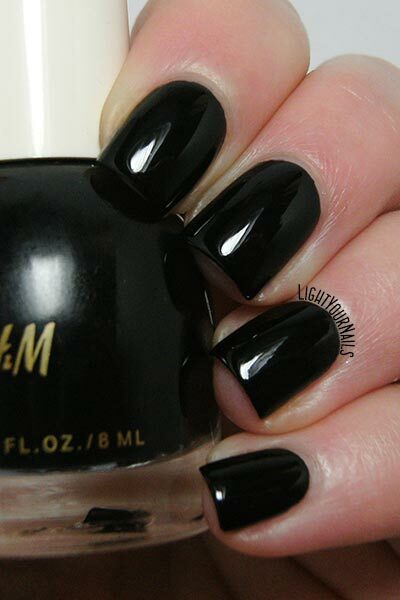 I also made this mani glossy but matte was way better so I top coated it matte again in the end. 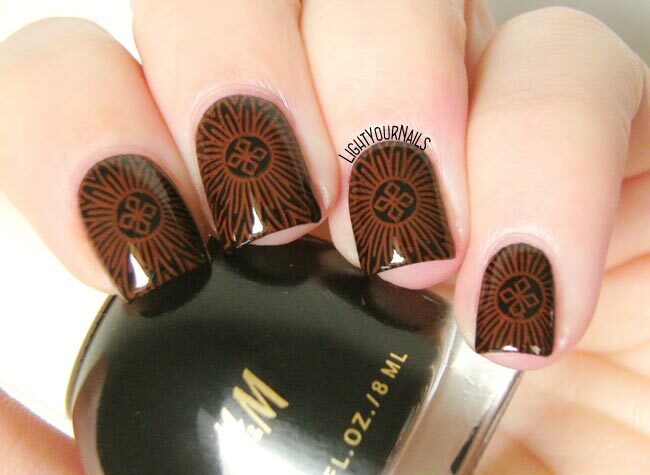 How do you like today’s nail art? 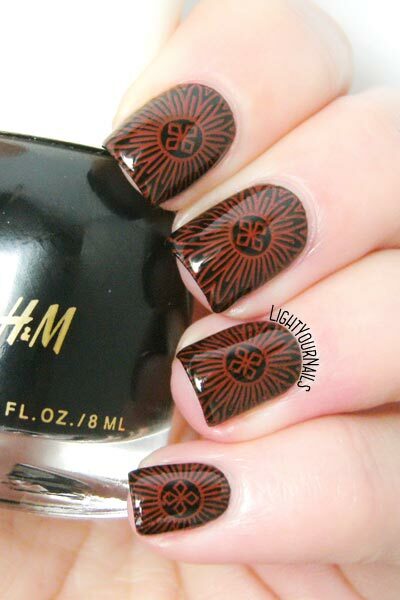 Today I am showing you my latest nail polish purchase, done in a popular Italian drugstore. Shaka Green Forest Matt called my name and came home with me while I was shopping around. 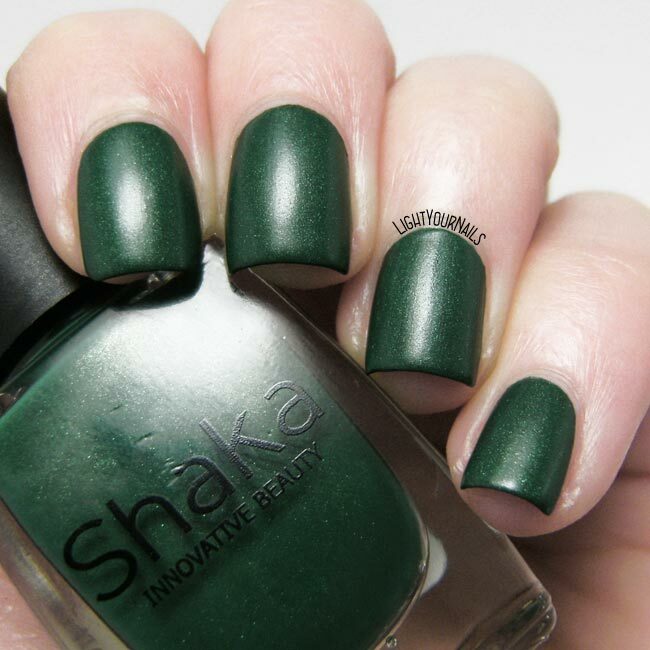 As the name suggests it’s a forest green nail polish that actually dries satin, not completely matte. 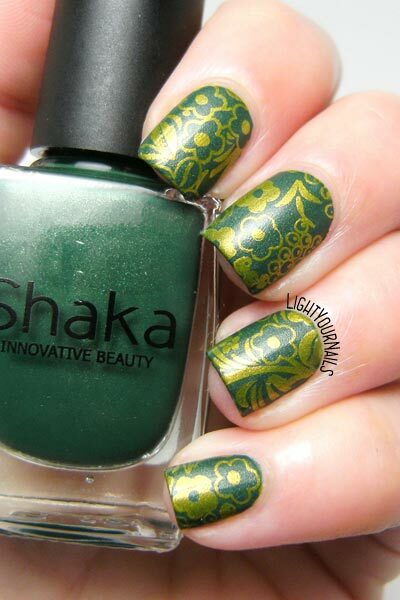 Application is easy although I am no fan of Shaka’s flat brushes. It dries super fast though so you gotta be quick applying it. 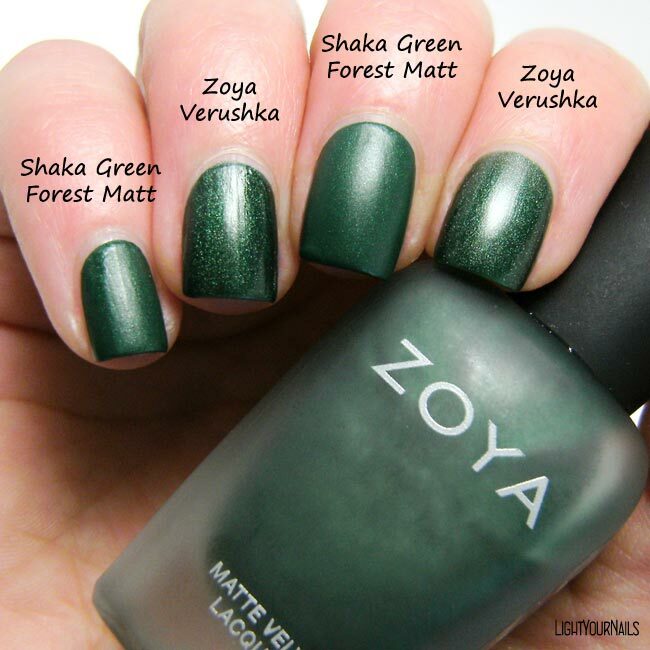 Did Zoya Verushka come to your mind looking at Shaka Green Forest Matt? I immediately thought of it and threw together a quick comparison. 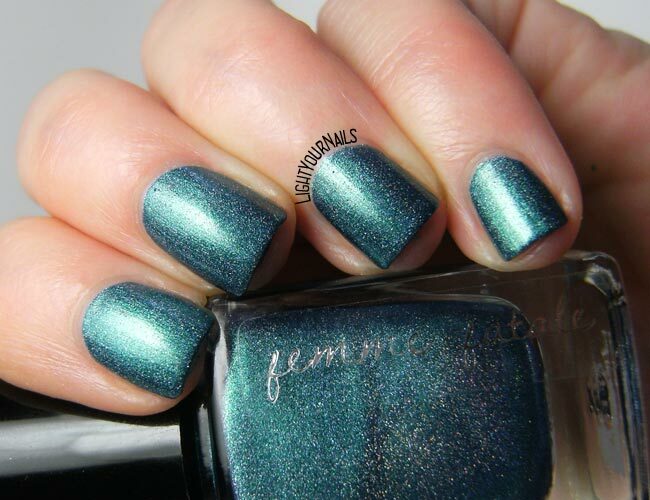 No dupes, unfortunately for my Italian readers! 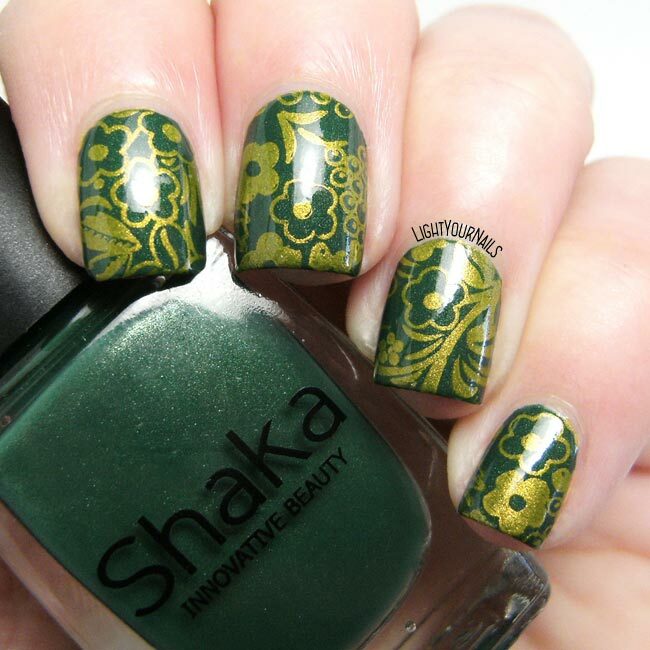 Base colour is the same but the Shaka is way more opaque than the Zoya. 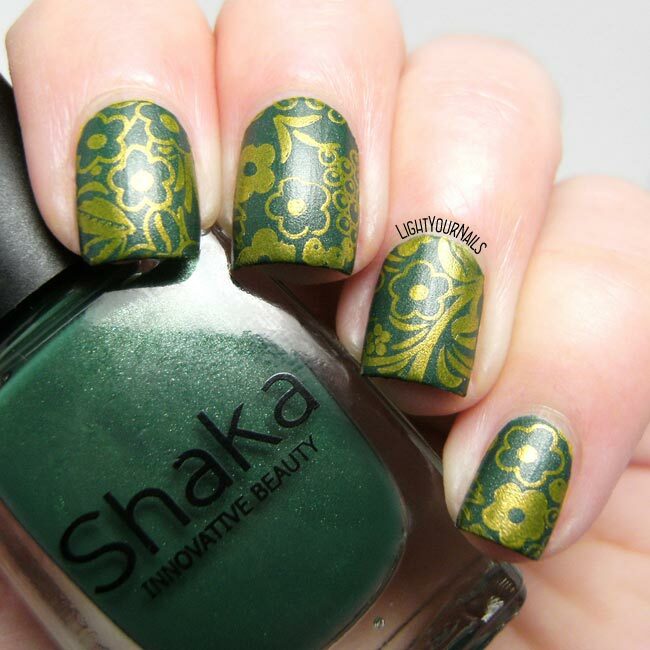 What do you think of Shaka Green Forest Matt? 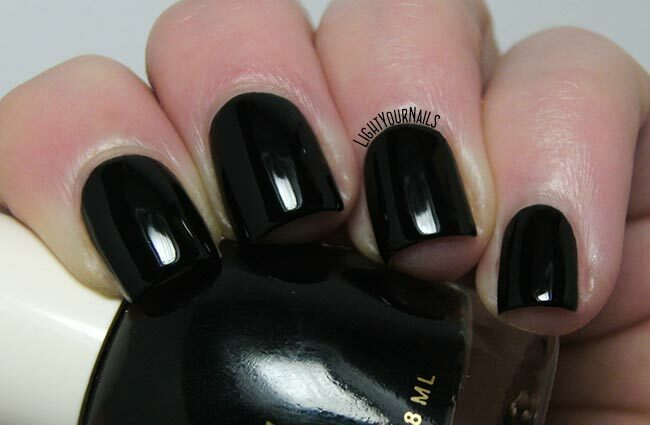 Too dark for Spring? 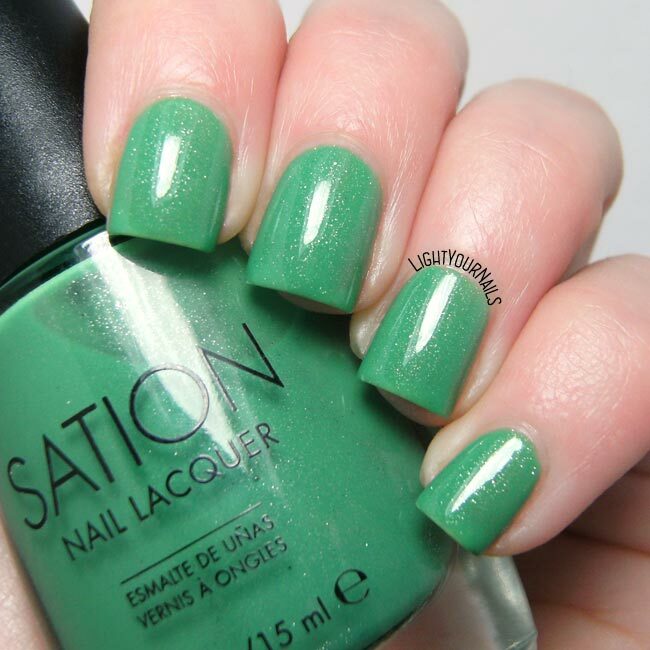 Today I am showing you Sally Hansen Model Behavior that I’ve used as a base for my Tropical Turquoise mani. I will start saying I only own a few Sally Hansen nail polishes but all of them are really good. Model Behavior is no less than perfect, too. 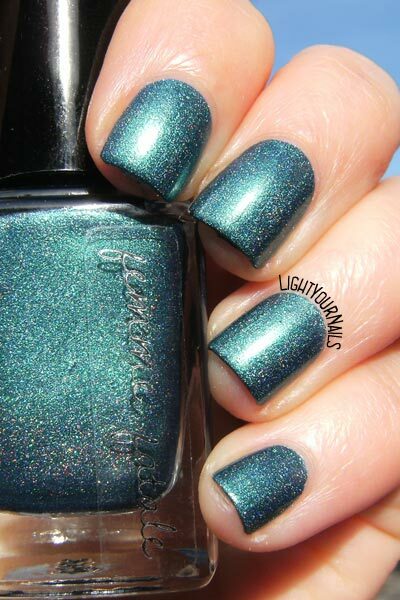 You can see yourself how gorgeous this blue shade is . 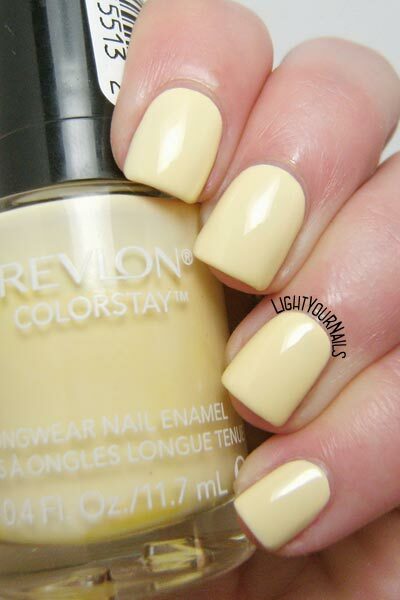 Application is a dream, the formula slides on the nails like butter and you get perfect coverage in two coats. Drying time is quick and the finish is very glossy. I still recommend using a top coat on your manicures because it protects it and helps the lasting power. What can I tell you? Go grab it if you can! Both the quality and the colour are top! What more could you ask for?